In the states, two have showed up recently for 3k, both sold, which is solid deal if you're willing to pull the trigger immediately . I think another went for 3500 (Music Zoo?). There have been a couple of others in the 3800 range but I think are still out there. Just depends on how bad you want one. I believe in Europe they're going for more, if you can find one. well, i took the plunge and am now in love with my first (im sure there will be more to follow) Bonamassa signature model - Bonaburst #35! 1) joe, the 'extras' were just an extremely thoughtful and awesome touch - completely unexpected and just added to the whole experience. I thank you! 2) guys at wildwood (especially Lance) are just awesome. i tried an acoustic from them earlier this year and it just wasnt the tone i was looking for - no hassels or anything when i promptly returned it. really made me want to give them my business and the Bonaburst was the perfect opportunity for both of us. Beautiful and congrats. Welcome to the forum Journeyman. 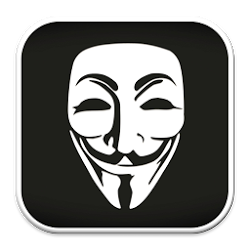 If you facebook, there is an owners page there too with pictures, clips and stuff. Dennis Donnell - Woodville, OH...Very proud owner of #18....a real beauty, and incredible sound. What a class move by Joe to include the goodies, and Bruce at Wildwood....just great to work with. Many thanks and appreciation to Joe for signing this beautiful instrument in Nashville. One side note...what a large class of just plain good people associated with Joe...including the fans at the concert and those in the forum here. These guitars are just crazy good & I have owned countless guitars through the years. Don't know what it is about these guitars but the stars lined up right when they made these. Proud owner of JB 31 here! I just received it from the great guys at Wildwood today. This is by far the most beautifully sounding Les Paul I've ever heard besides Joe's! 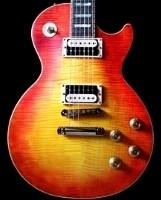 I'm totally digging the pearl red inlays on the neck and it's beautiful "Bonamassa Burst" color. I could not possibly be happier with Wildwood's service and the guitar itself. I'm loving everything including the case and certificate of authenticity. Does anyone happen to know if the case is actually signed by Joe himself, or if it's screen-printed? Does anyone happen to know if the case is actually signed by Joe himself, or if it's screen-printed? He hand signed 1000 Epi's so I have to believe these are hand signed as well. Thanks. That's what I would think too, but I wasn't positive. The certificates are signed personally by Joe. The signature on the guitar cases are silk screened. am a proud owner of jb 051!!!!! i said i wouldnt go down the signature route but the guitar looked and felt so good i had to have it!!! ...i name this day... sacrilege Wednesday!... The Thrill Has Been Totally Devastated!.... sorry BB!... please forgive me! ...me and Stan having some fun!... better than my last effort anyway! Now that made schlepping that git half way across the world worthwhile! 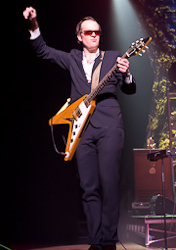 Hello fellow Bonamassa Bursters! Does anyone know what gauge the strings are on the bursts? I know the Goldtops have 11s. I assume the Bursts are the same, but they feel as heavy as the 10s on my Strat. Maybe it's because they're wrapped around the bridge? I believe 11's by default, but wildwood will set it up however you want it. Bonaburst #33 (Ruthie) is in Oregon.